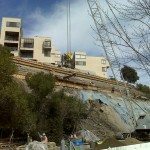 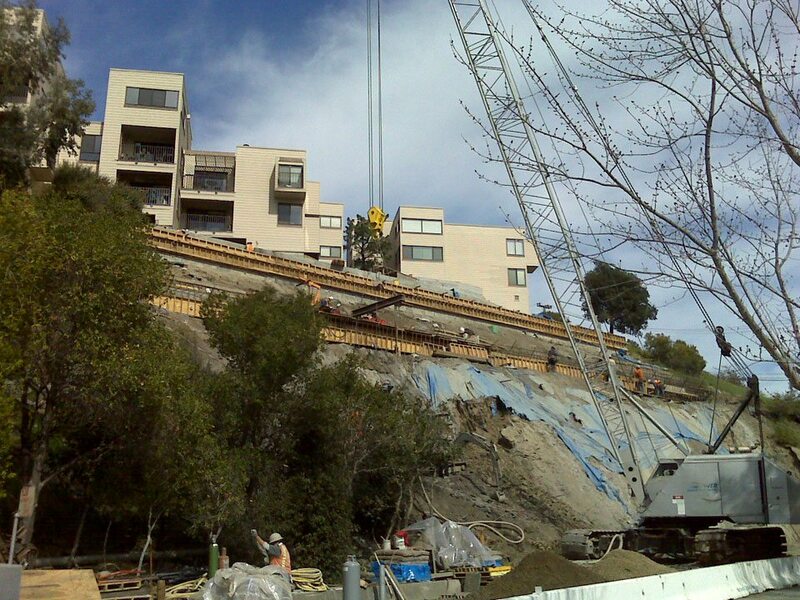 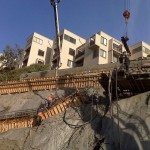 This was an emergency slope stabilization project for the City of Larkspur. 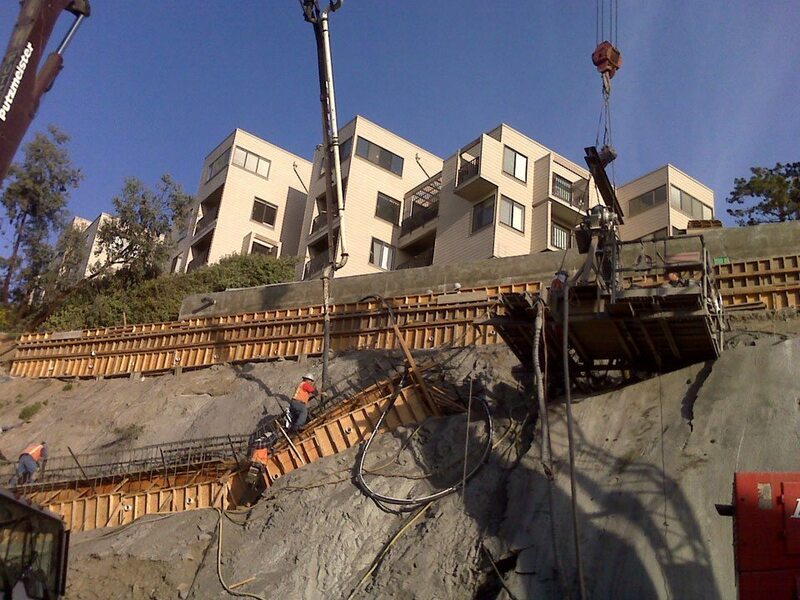 Construction involved the installation of (70) tiebacks on a steep hillside directly below an inhabited building. 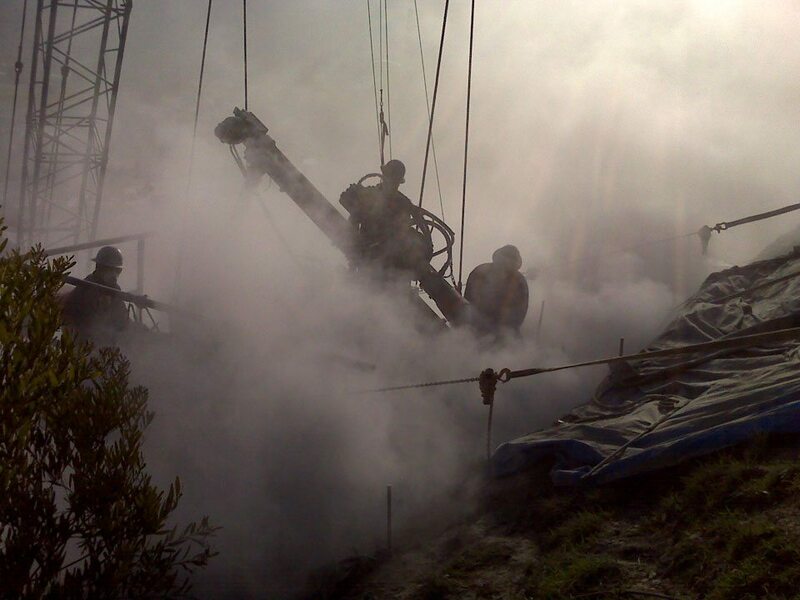 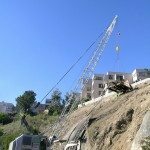 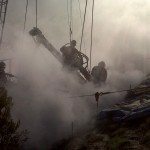 The slope and limited access required the crew and drilling equipment to be suspended by a crane during the installation process. 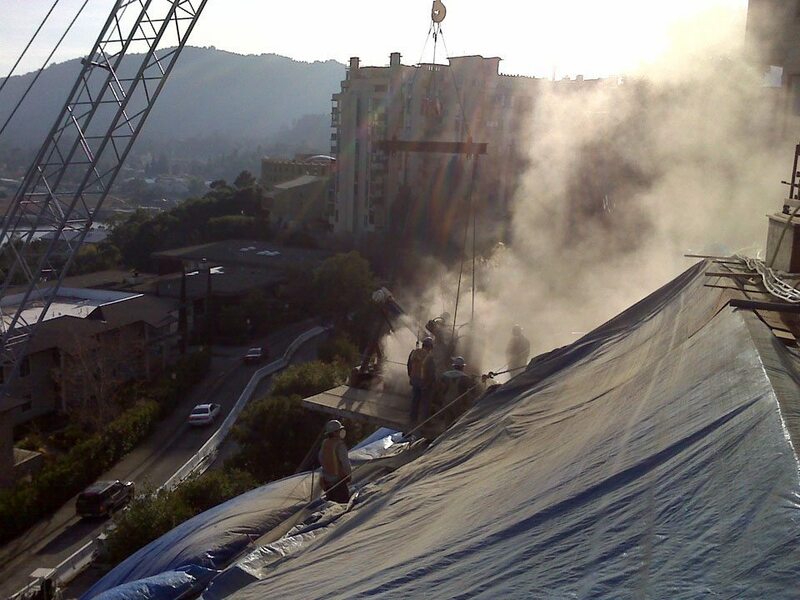 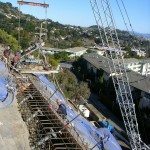 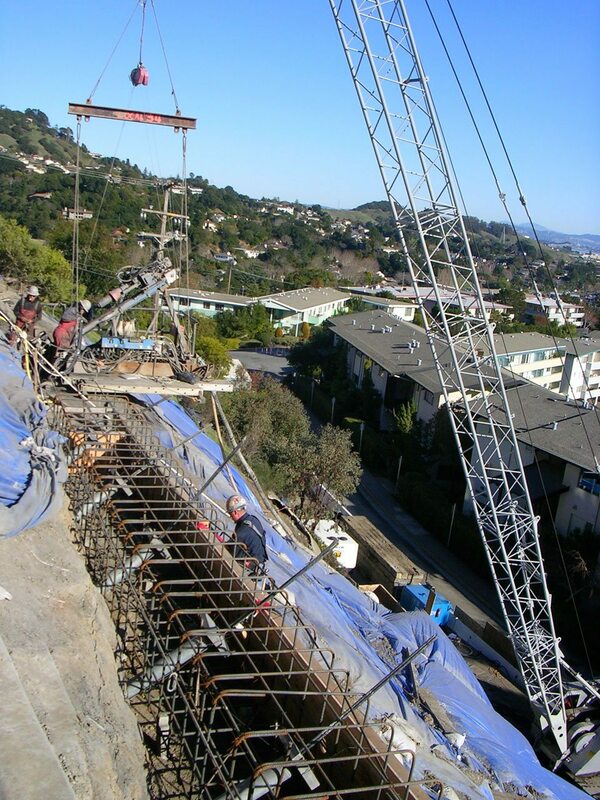 Three rows of concrete grade beams were constructed along the slope which required the crew to work from ropes. 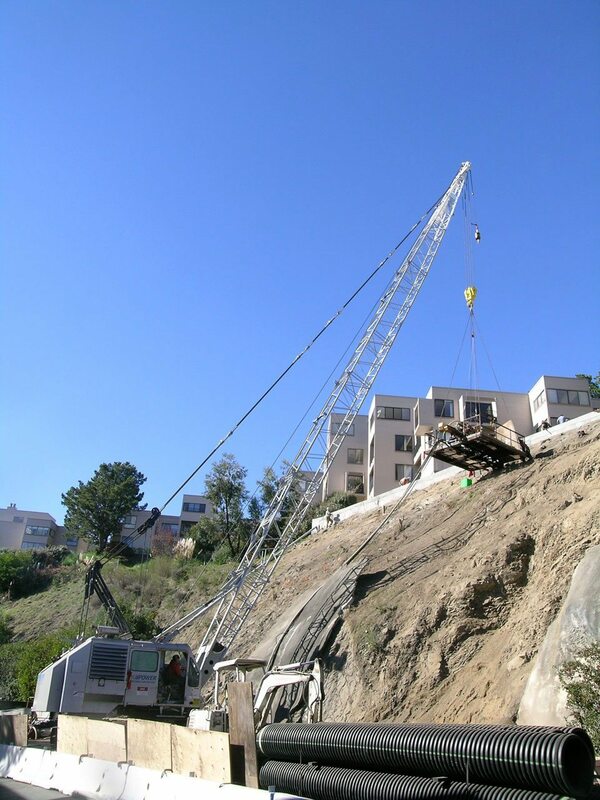 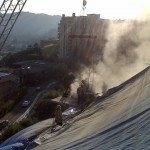 Construction crews faced confined staging areas, steep slopes, and inhibited movement while working from ropes all while minimizing the impact to local residents.